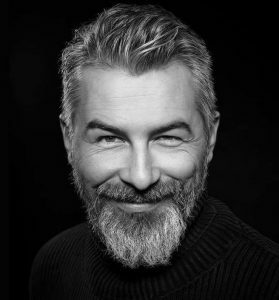 I look forward to your visit and present to you our company profile. 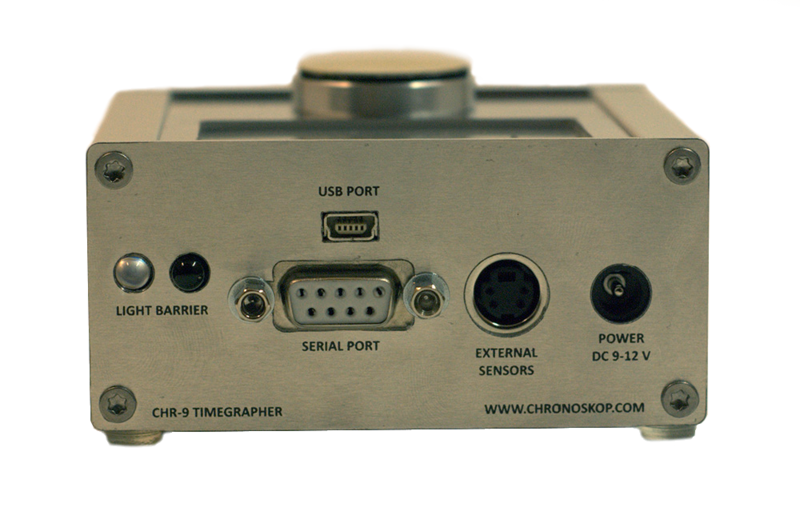 As timegrapher manufacturer we deal since 2006 with the design, manufacture and sales of chronoscope timegraphers. Our first priority is the highest quality of our products and the satisfaction of our customers. By the application of the latest SMD technology we always strive for the highest edge of technology. For the best possible adaptation to the customer requirements, we always remain open for questions and suggestions. 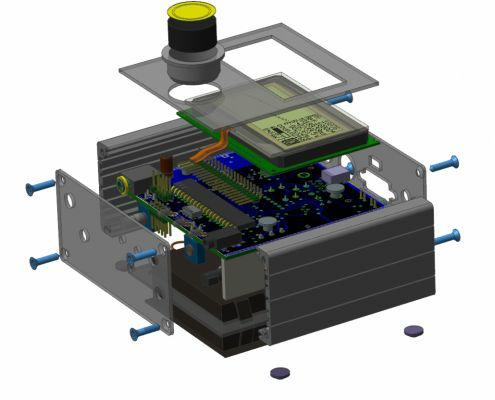 Furthermore, we are concerned with the development of intelligent IT solutions for industry supported by many years of experience in the microcontroller electronics, CAD design and the broad field of programming. For your satisfaction, we always give our best effort. We proudly even dare to say that we have never left a customer dissatisfied. For the quality of our products and services I stand personally with my name. 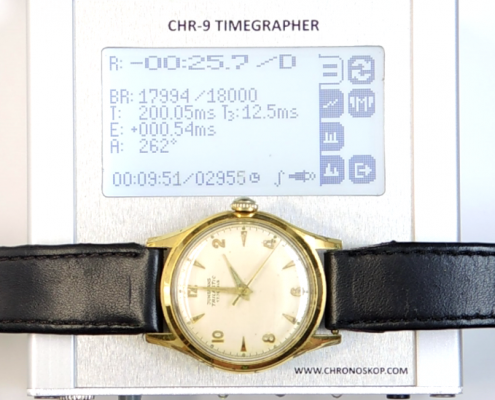 The Timegrapher Chronoskop CHR-9 is an electronic measuring and testing device for the production, repair and service of mechanical watches. 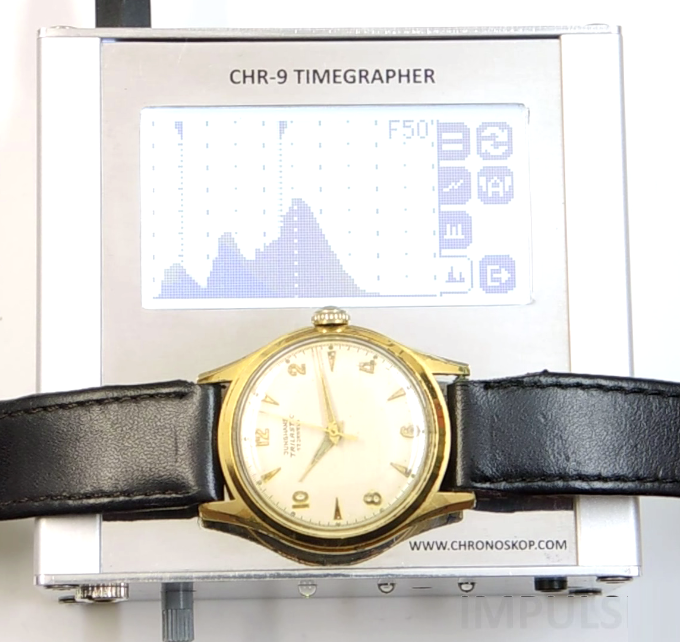 All information taken from the measurement are displayed on the illuminated graphic display. 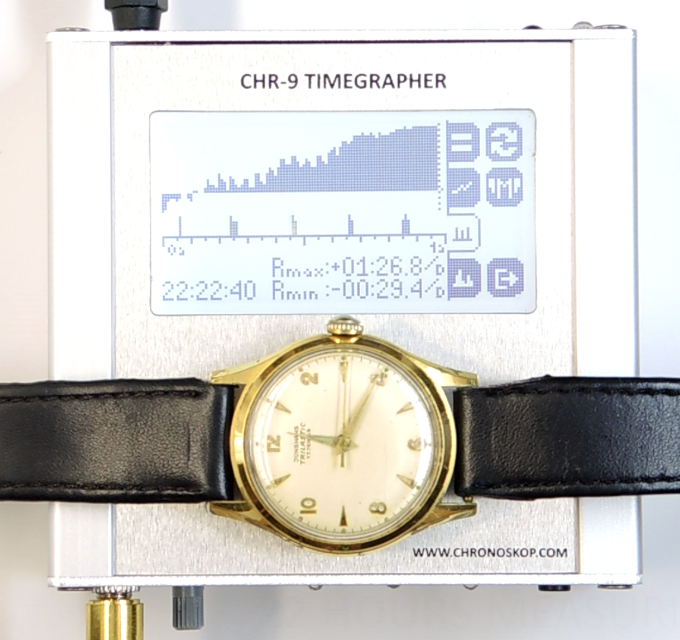 The Timegrapher enables acoustic measurements as well as light barrier measurements with the external light barrier sensor. 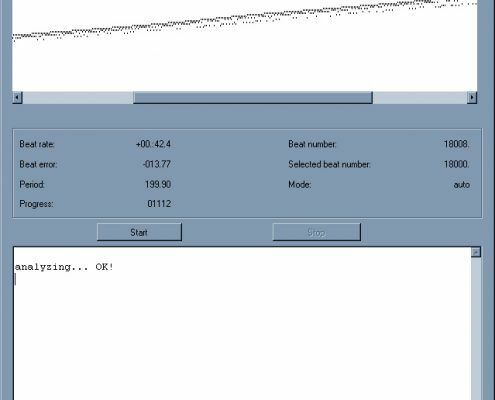 The target rate can be determined automatically, selected manually or individually set and saved. 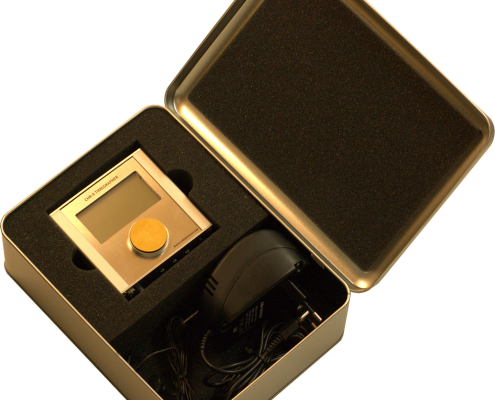 The acoustic measurement can be realized by the built-in piezo microphone. 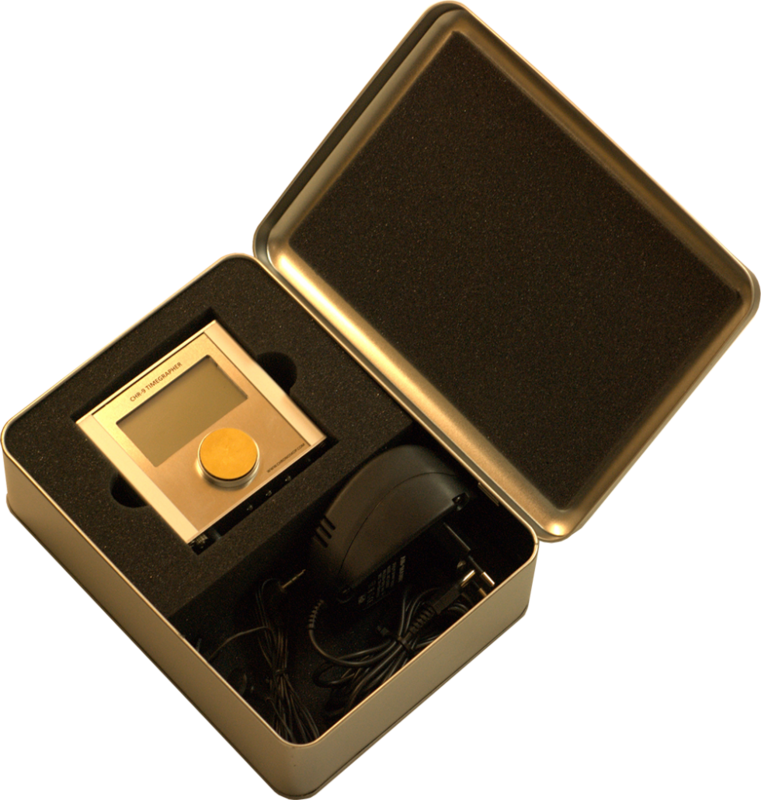 To decouple acoustic noise, the piezo microphone plate is mounted on a 5 mm thick foam. 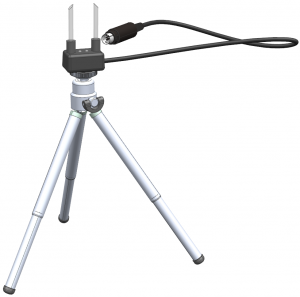 The signal gain can be adjusted with the rotary knob. 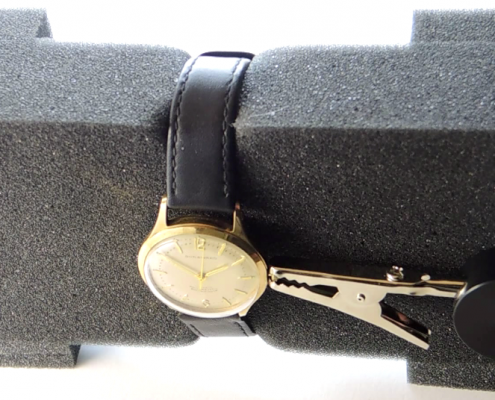 To measure the rate of a watch or a small watch, place the watch on the piezo microphone. Numerical values – Numbers are output: rate, beat rate, drop error, average duration of a half-wave and, if the quality of the signal is sufficient, the amplitude. 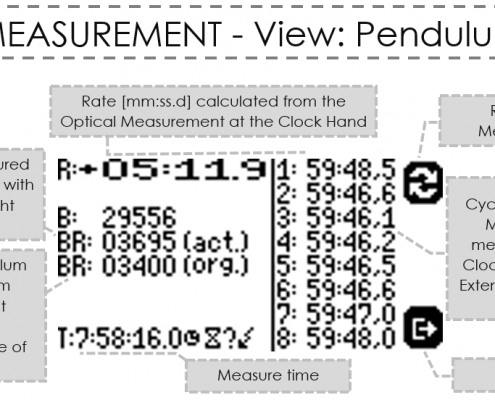 Graph – The measurement is displayed on a graph usual for clock makers. Long-term measurement – In a long-term measurement, the long time behavior of the rate can be observed on a graph. 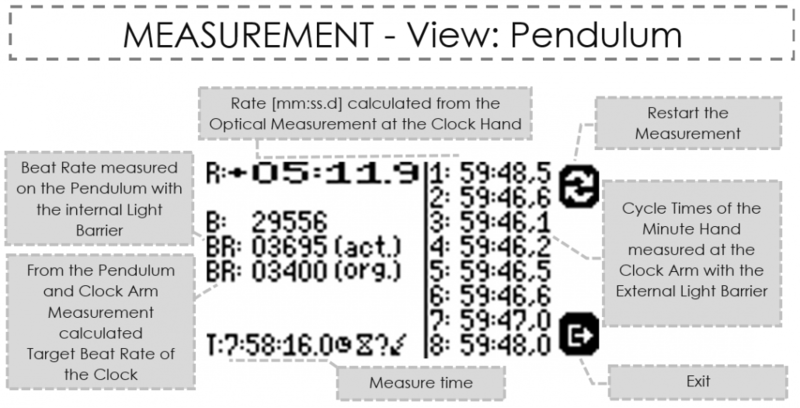 The duration of the measurement and the measured extreme values of the rate are also displayed as numerical values. In addition, the pulses are marked on a time axis. The graphic of the rate shows that it can vary during the measurement. Therefore, it may be that a currently measured rate does not match with the long-term behavior of the clock. 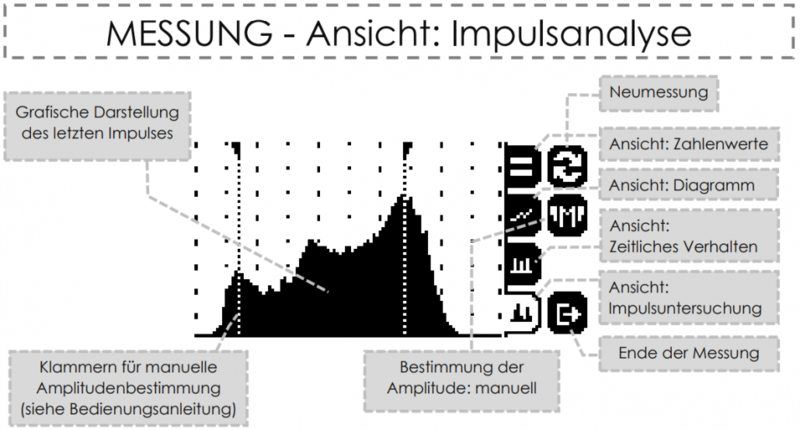 Pulse analysis – Here the pulse can be observed more closely. 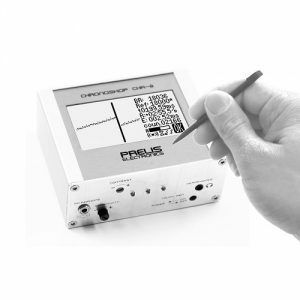 By switching to the manual mode, the pulse width for the amplitude calculation can be set manually (more detailed information: see instruction manual). 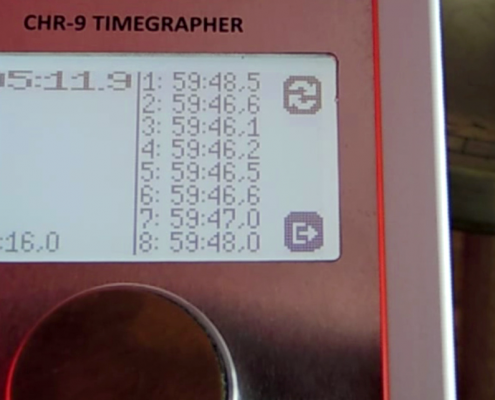 You can switch between different display modes during the measurement. 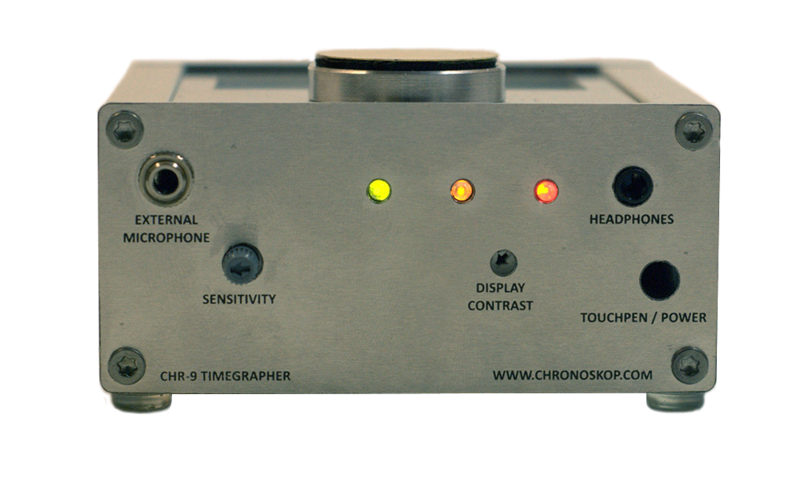 Thanks to the built-in headphone jack, you can directly listen to the clock work. 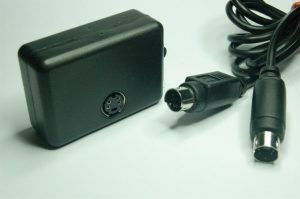 The device also has a PC USB interface, microphone input, an external sensor and active microphone input, a microphone sensitivity control knob, a contrast adjustment knob, and a touch pen slot. The multilingual menu navigation in English, German, Spanish, French, Italian and Polish guides you easily and clearly through the functions. 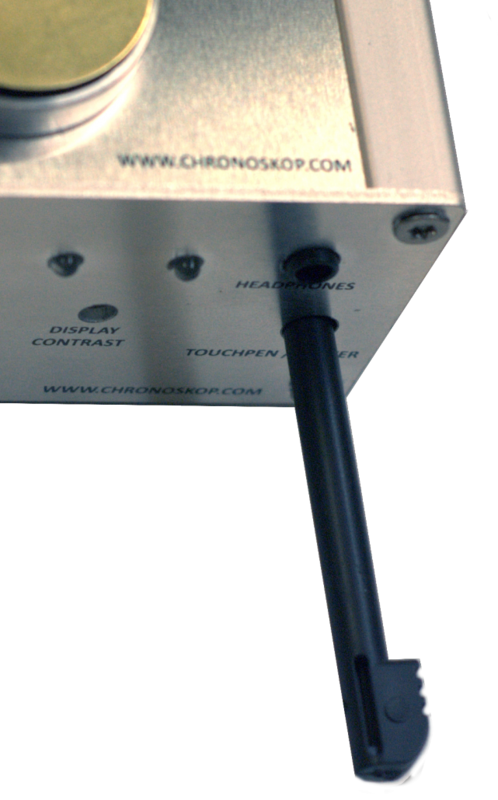 With the headphone jack you can directly listen to the operation of a clock. 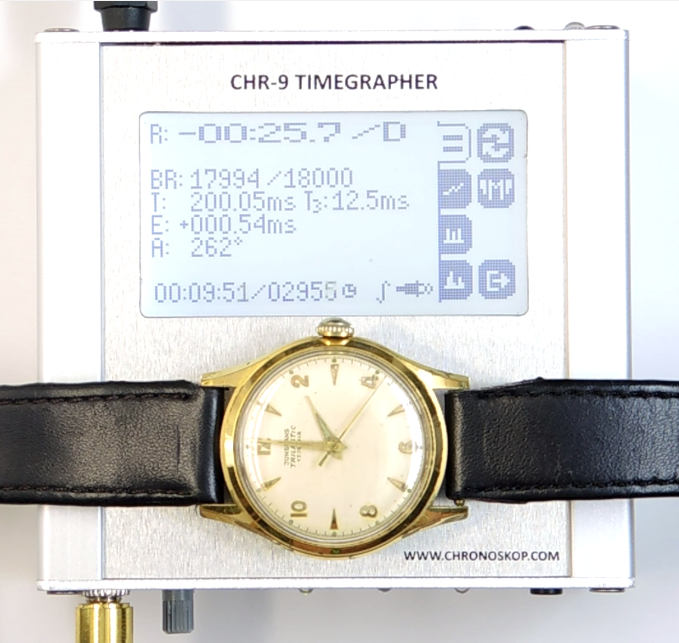 With calibration using the radio signal DCF77 from the atomic clock in Mainflingen an accuracy up to few seconds per year is achieved, which otherwise would be only realized with great technological effort. 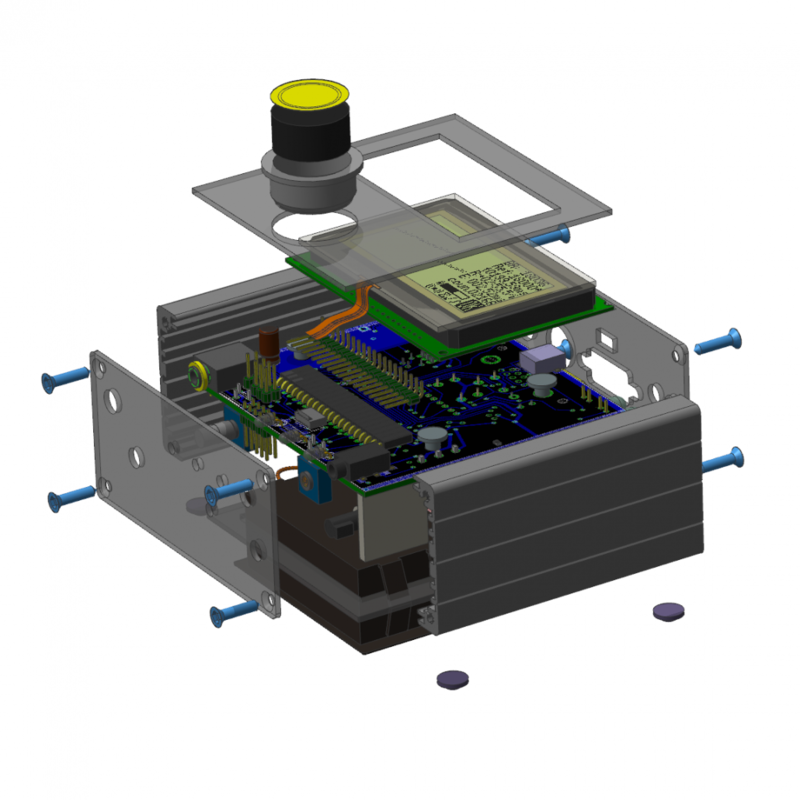 The use of the latest microcontroller electronics realized with modern SMD technology allows a compact solution (about 9cm x 9cm x 4cm) which gives the device manageability. It is easy to transport and can be used in battery mode as mobile. The device is equipped with a built-in piezo microphone that allows an acoustic measurement of watches. 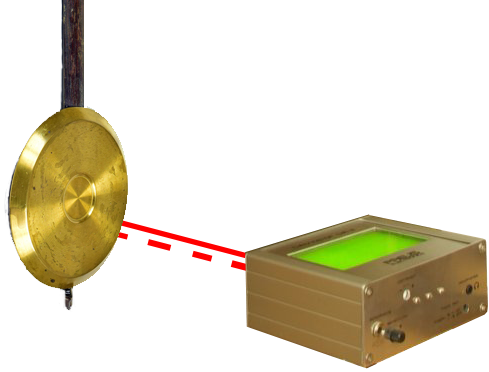 For decoupling of the disturbances, the piezoelectric disc is supported on a foam. 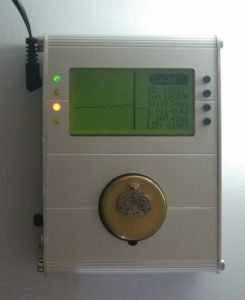 The device filters the noise digitally. Due to the high sensitivity surrounding noise should be still avoided. 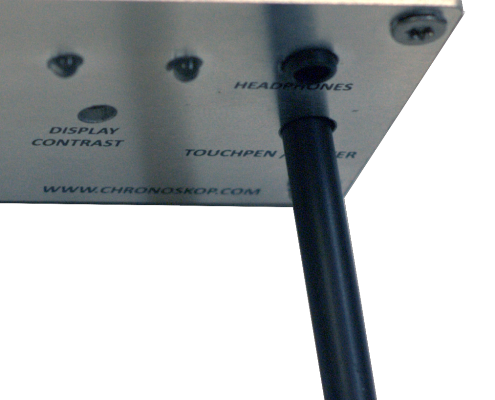 A knob lets you adjust the sensitivity of the piezoelectric microphone. 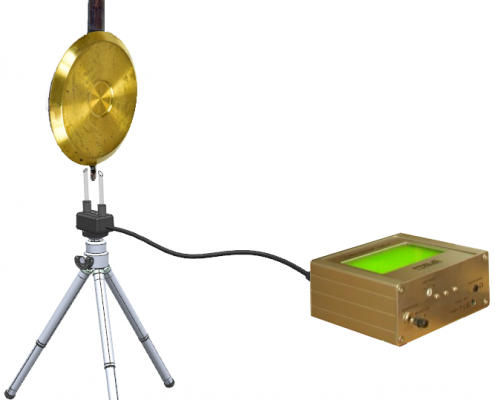 The optical measurement with the external light barrier sensor is used to measure pendulum clocks. 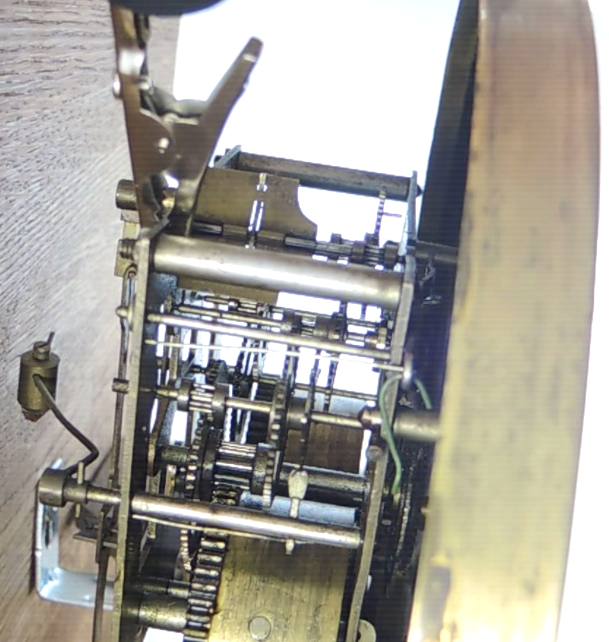 As well as the clock pendulum interrupts the light beam of the transmitter diode, the receiver diode receives a pulse. 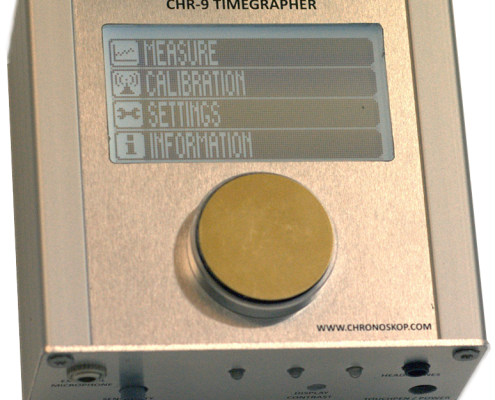 The light barrier also allows the measurement directly on the minute clock hand. 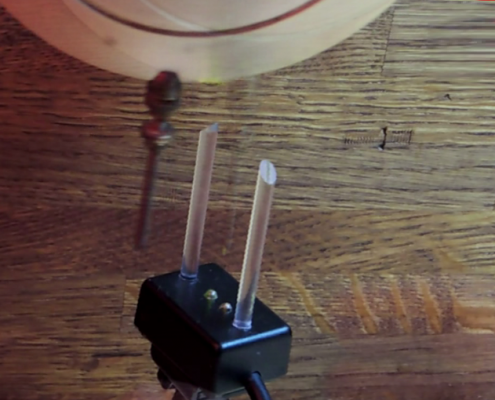 To do this, place the light barrier so that the pointer passes through the light barrier during the hourly cycles. 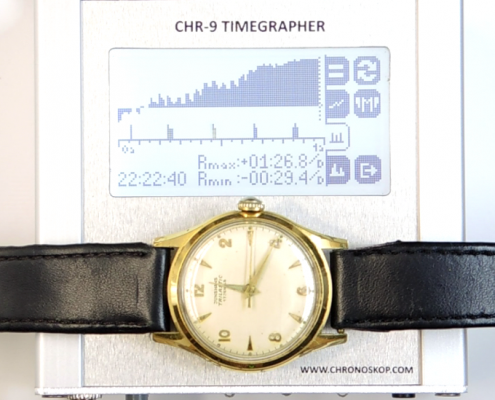 In this way, a measurement of up to 8 hours is possible. 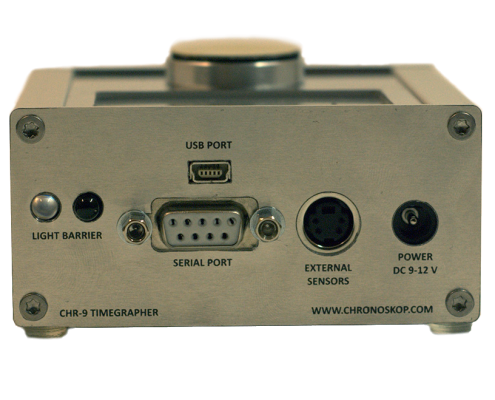 With the software “CHRONO PORT 2.0” you can follow, print and save the measurement directly on the PC. 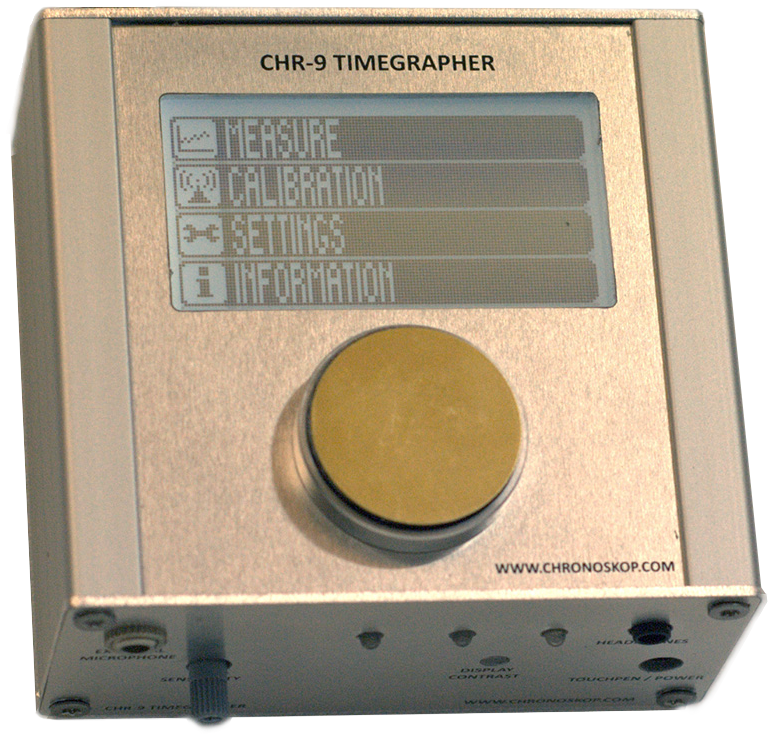 All data are constantly sent to the computer and displayed as numerical values and graphics. 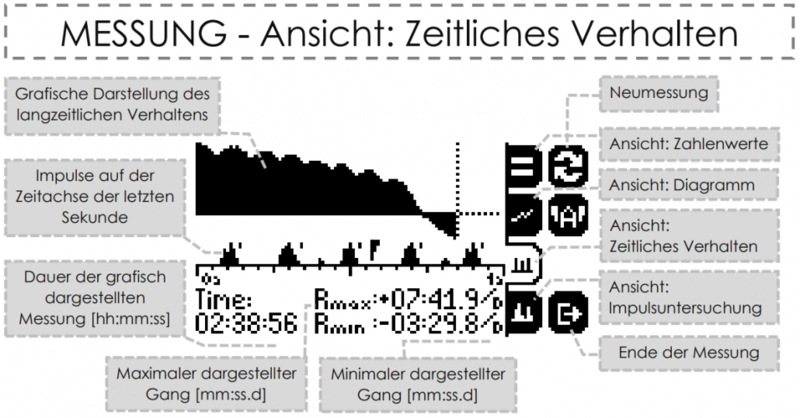 Direct data transmission makes the entire measurement represented in a movable endless graphic window. 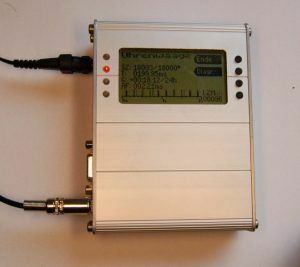 The recognition of the ports happens automatically. Once the device is connected, the connection appears as “Connected”. 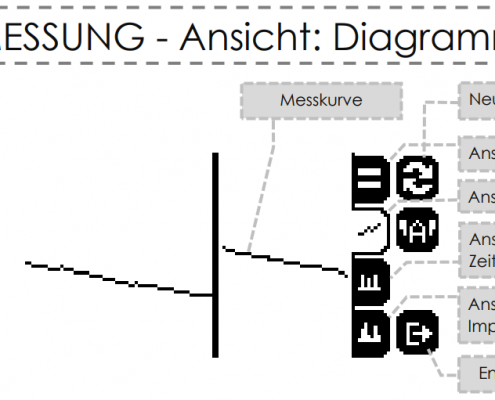 The language of the software (English, German and Polish) can always be changed in the menu. 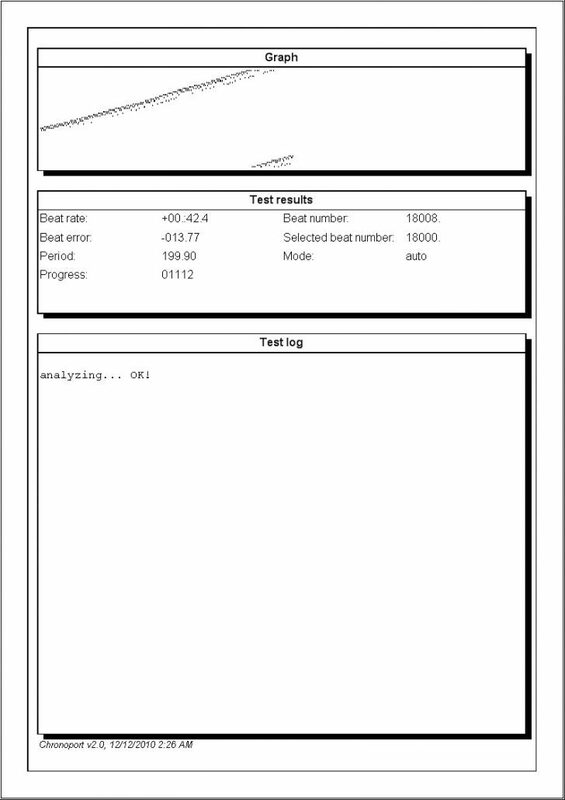 Measurements can be saved as a measurement report and reopened and printed later. The report of the measurement is summarized on a sheet of A4 paper. 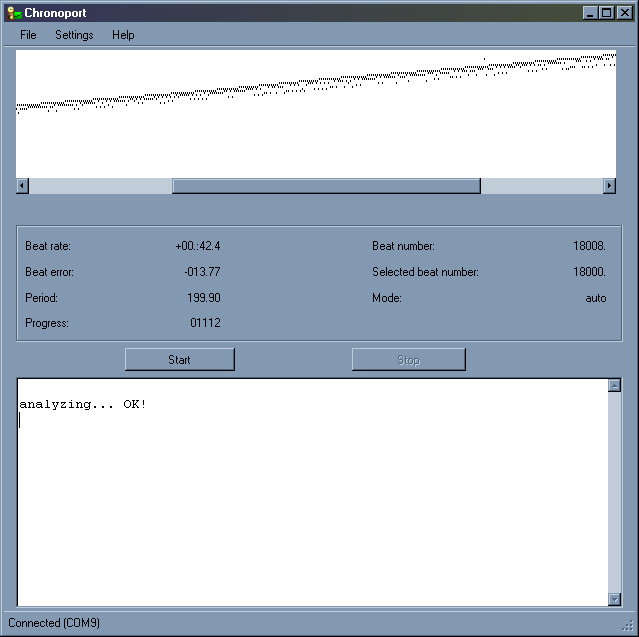 The software can be installed on the computer (2 MB), but can also start from the disc. System requirements: MS Windows 98 and higher. The device also works without a PC. 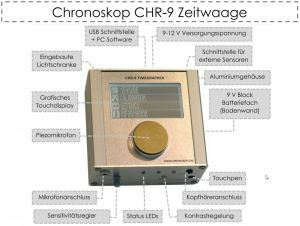 Due to an adjustment by the radio signal DCF77 with the atomic clock in Mainflingen an accuracy of up to a few seconds per year can be achieved. 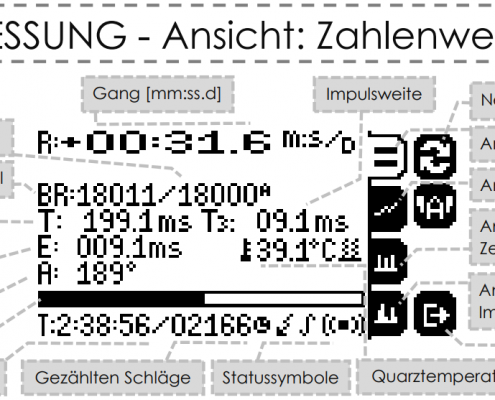 Calibration of the internal quartz works via comparison with the atomic clock in Mainflingen near Frankfurt. 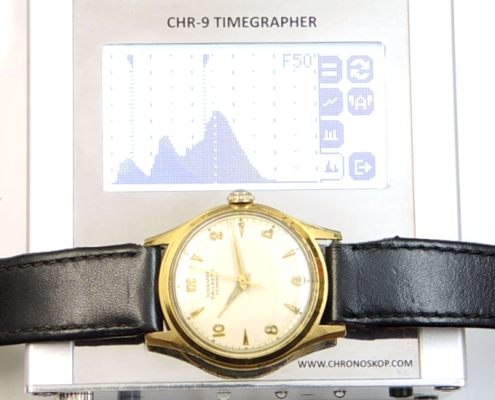 The time signal is broadcast over the radio signal. 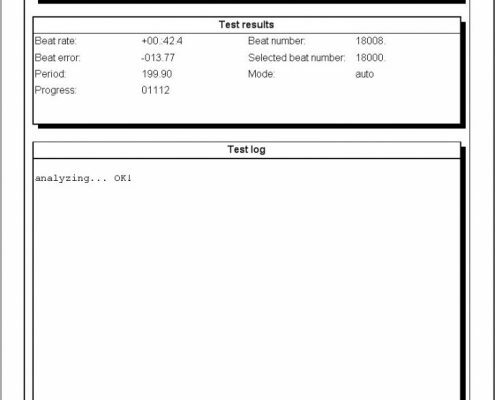 DCF77 is a longwave emitted over time signal. 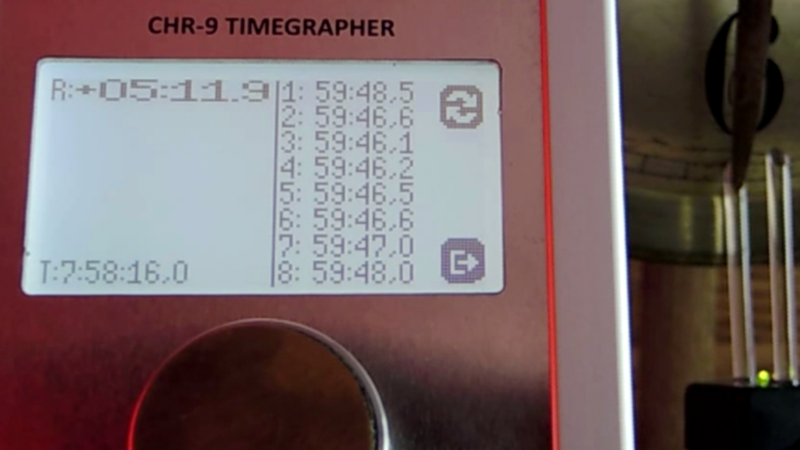 DCF77 is broadcast on the normal frequency of 77.5 kHz as time information in coded form. It has a range of about 2000 km around Frankfurt / Main or Mainflingen. 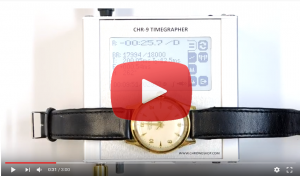 In DCF77 signal the time information the next minute is coded. 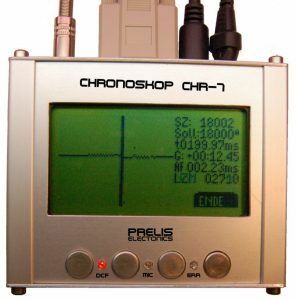 The DCF77 signal is the definition of the “right time” of Germany. The instrument is supplied calibrated. Once the measurements in comparable temperatures take place (for example, at the same room temperature), a new calibration is not necessary. ATTENTION! 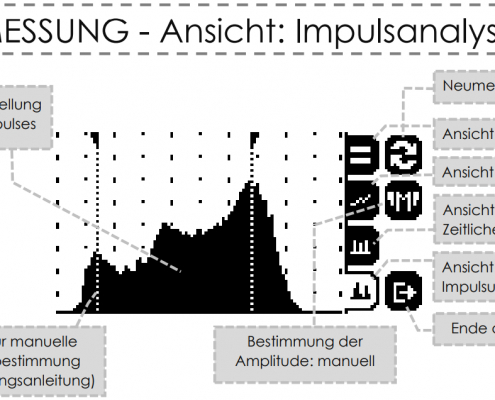 The reception of the signal is dependent on location and is outside Germany not guaranteed! 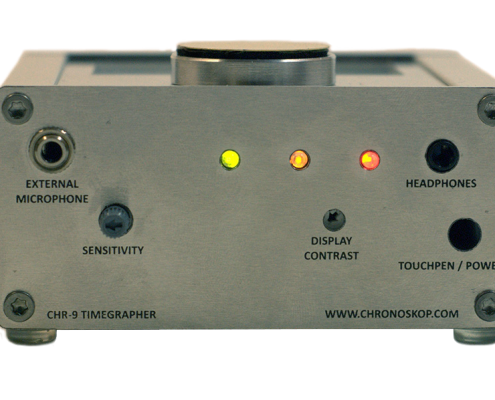 The DCF77 receiver is not inevitably included and may have to be ordered. The frequency of the clocking oscillator of the device may vary slightly depending on the ambient room temperature. 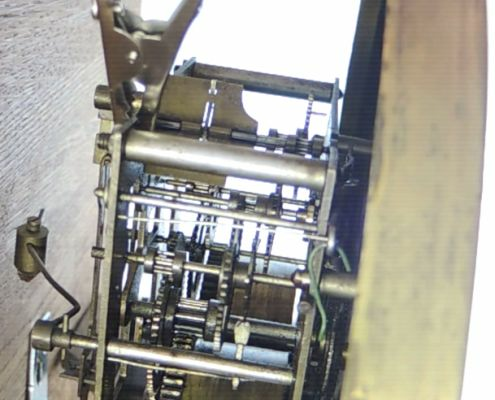 This is not relevant when the measurement takes place in stable room temperature, but in order to ensure maximum accuracy, the internal oscillator is heated and its temperature is kept constant. 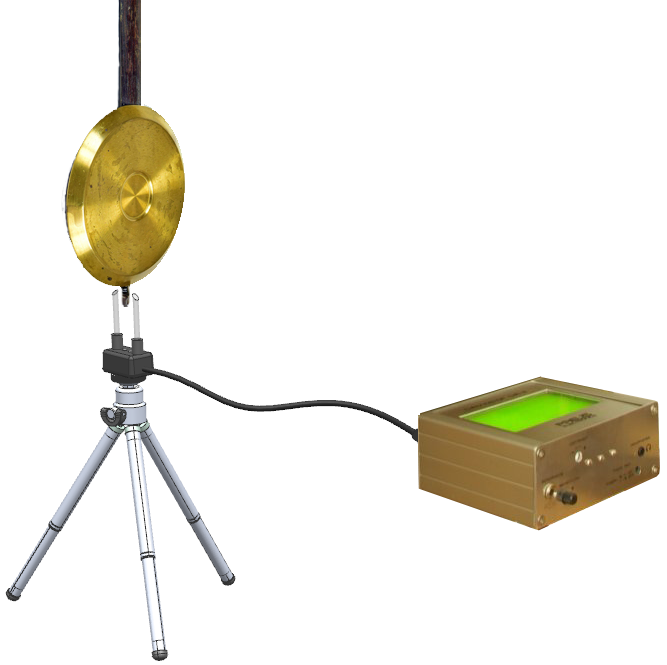 This compensates the temperature variations of the resonator frequency. This guarantees the highest stability of the resonator. 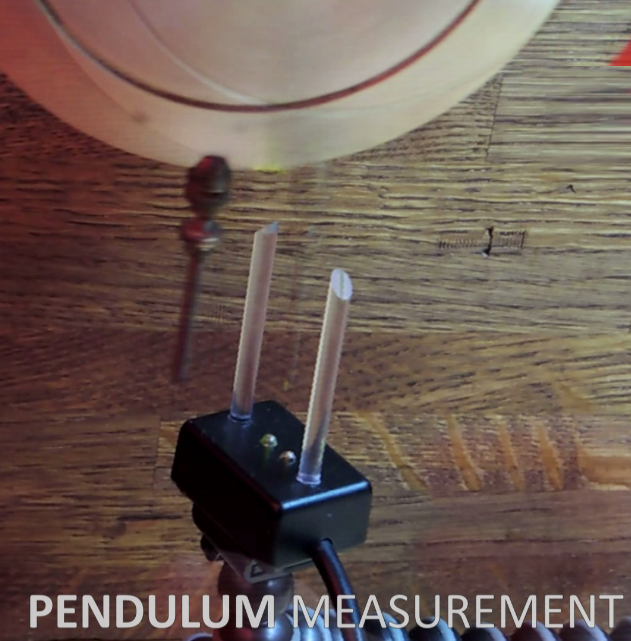 External Light Barrier Sensor lets you measure pendulum clocks directly. For ordering please visit our Shop from our top menu. Alternatively you can use our contact form below. Don’t forget to send us your adress for deliverment. We wil send you the information about payment methods and delivery time. You can also visit our auctions on sites listet below. 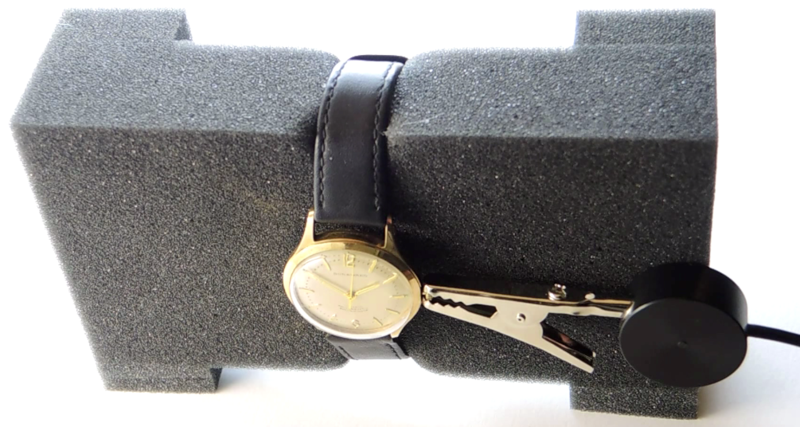 You will receive the following items with time Timegrapher in the package. Further accessories are available in our Shop. On any questions please contact me personally!